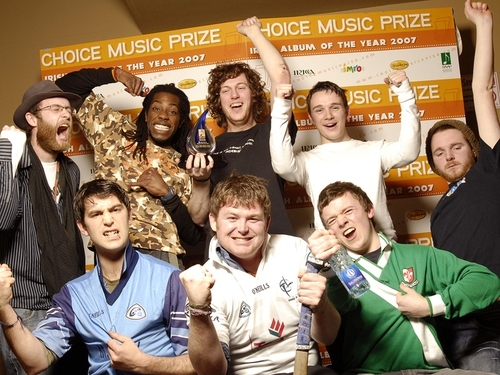 There was a shock winner at the Choice Music Prize show in Dublin last night. Outsiders Super Extra Bonus Party were announced as the winners for their eponymous album at last night's show in Vicar Street. Cathy Davey had been widely tipped to win the award, which is voted on by a 12-member panel of Irish music media professionals. Super Extra Bonus Party receive a cheque for €10,000 and a specially commissioned award. Watch Super Extra Bonus Party on The Café from January here.